This page aims to summarise the steps required to install a webserver with PHP support onto your Raspberry Pi. This will allow the Pi to server HTML and PHP pages to users on the same network. This is a useful mechanism to view images and/or data on the Pi from another device, whether that is a PC, laptop, tablet or mobile phone. Note : Before experimenting with network enabled features you should really make sure you have changed your Pi password from the “raspberry” default. The IP address in this example is 192.168.0.45. Take this IP address and enter it into the address bar of a web browser on another device. If everything has worked you should see the default Lighttpd “Placeholder” web page. It’s not very exciting but it is easy to replace with your own page. Now we will adjust some permissions to ensure the “Pi” user account can write files to the location where Lighttpd expects to find web pages. The /var/www directory is currently owned by the “root” user. So let’s make the “www-data” user and group the owner of the /var/www directory. Now we will allow the “www-data” group permission to write to this directory. Finally we can add the “Pi” user to the “www-data” group. The command above grabs a text file from this website, renames it as “index.php” and saves it to the /var/www/html directory. If you want to look at the test page first click here. Note : The ‘-O’ in the command is a capital letter O (O for Orange) not a zero or lowercase o.
Refresh your browser and you should see the new page. If PHP is working OK you will see a summary of your PHP configuration. You are now ready to populate /var/www with HTML, CSS, JS, PHP and image files just as you would for a normal website. These files could be created by your own programs which gives your projects and experiments a way to publish their data to other devices. This is yet another great way for other devices to interact with your Pi. If you want your Pi web server to be available on the internet (i.e. beyond your own network) you will need to follow some additional steps. I’m not covering them here but they usually involve “port forwarding” on your router to enable pages to be requested from your Pi by an external visitor. 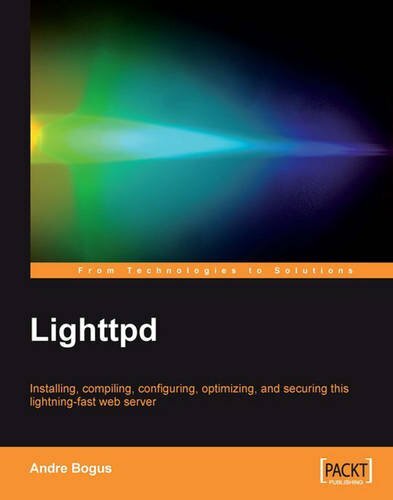 If you fancy reading a lot more about Lighttpd in a printed book then take a look at “Lighttpd” by Andre Bogus. This is also available as a Kindle version as well if you prefer your reference material e-book style. thanks for your instructions, I was able to setup my raspberry pi. Doesn’t get much easier that that. Thank you. I was looking all over the web for a good tutorial! Lighttpd and php runs great. Thanks for the easy use. Maybe add static ip address and vsftpd to the tutorial? ​Is there a way to change the file directory that it points to to access the web files? I’d want to point to a hard drive mounted via USB. Sorry if this is obvious, thanks so much! If you want to look at the test page first . I think you meant it that way ;-). Thanks Phil. I’ve corrected the link. No idea why it was so wrong! Thank you for this, Matt. Should MySQL be in there too? I see it on other similar web server setups for raspberry Pi. I have gone for yours, as I find it easier to follow. Very clear. I have no real idea what MySQL does, apart from it being for data?? A very good and interesting tutorial, well written and very clear. I look forward to trying it. Question: I currently haave a very crude A.P. setup (and I do mean crude) and would like to upgrade it using your tutorial. How might I go about adding a simple “captive portal” to the server? I am not looking for anything bulletproof just something that will keep the user on the same page until they enter a password. In addition, is it possible to “force” the users computer to the captive page as soon as they connect to the AP ? Thanks for posting the tutorial. Des, there is a custom OS called Zavvio made specifically for broadcasting a captive portal. Although this captive portal is very much so aimed at proximity marketing rather than actually presenting a portal page which allows internet access afterwards. I tried to see if wordpress would work on it, but the dev came up with a compromise and the latest 2.0 release supports a CMS called Habari. Anyway, if you want to check it out here’s the website.